Who are the best landscapers near me? It’s a question that many homeowners in Cleveland, Ohio ask themselves, and answering it can entail quite a bit of research. To help your search for a professional landscaper, we’ve put together a list of the top 5 local landscapers in the Cleveland area. These companies stand out for their expertise in the field, quality of work and a portfolio of happy clients. Who Are the Top Landscapers Near Me? As a family-owned business, Pattie Group has worked to provide the best in outdoor living experiences for more than 40 years. In every landscape service they offer—from design and installation to landscape management and property care—the team at Pattie Group is dedicated to putting the needs of their clients first. With each outdoor space they help transform, there is a commitment to using sustainable methods that benefit the environment and also maximize clients’ return on investment. Brightview is recognized as a seamless partner for commercial landscape needs. With every solution they deliver—a list that includes design, development and snow and ice management—the company makes proactive customer service and consistent excellence a priority. Brightview is a trusted partner across a variety of industries, with customers in education, healthcare, hospitality and more. At Ground Works Land Design, you’ll find a seasoned group of professionals who are dedicated to making your property as healthy and beautiful as possible. 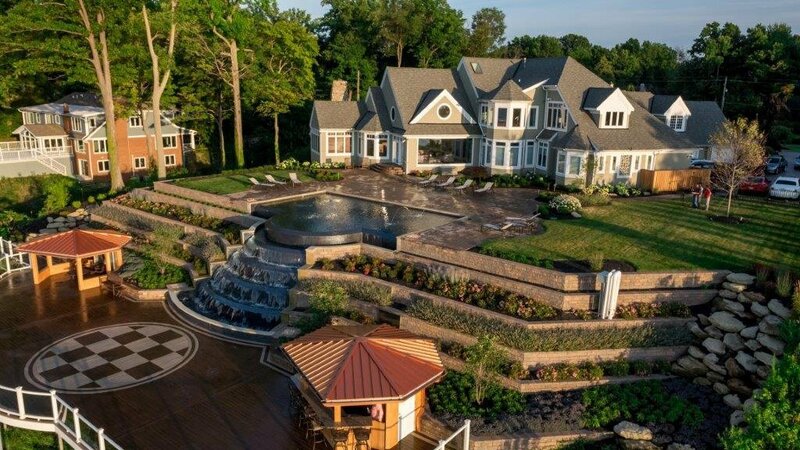 Founded on the values of customer service and satisfaction, the landscape firm strives to exceed homeowner expectations with each project they take on. Whether designing retaining walls, patios or outdoor kitchens—amongst many other features—Ground Works blends affordability, beauty, service and quality. Since Moscarino Landscape + Design was established in 1999, the company has grown by leaps and bounds. The business’s emphasis on efficiency, competence and punctuality has created a successful record of both commercial and residential clients. Multiple institutions have recognized the work of Moscarino, including the Ohio Nursery and Landscape Association, with multiple landscape awards under their belt. Green Impressions is dedicated to giving clients a first-class landscape experience. Whether clients have a clear vision of what they want or a few ideas on the table, the team of experts at Green Impressions is there to help bring creative visions to life. From residential to commercial properties, the company’s 20 years of experience shines in every type of service they perform, from design and installation to property maintenance. Interested in working with Green Impressions on your landscaping project? Request a free consultation here.